Home » Featured Flag » You Have to Start Somewhere – Sketching! 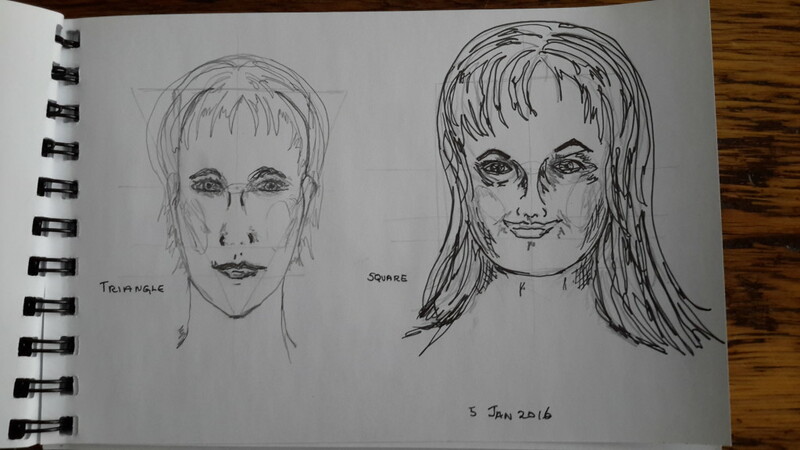 Yesterday’s PlayDay helped me achieve another ‘start’ for 2016 – sketching. … and I’m running a day behind by the date in the photos…LOL. 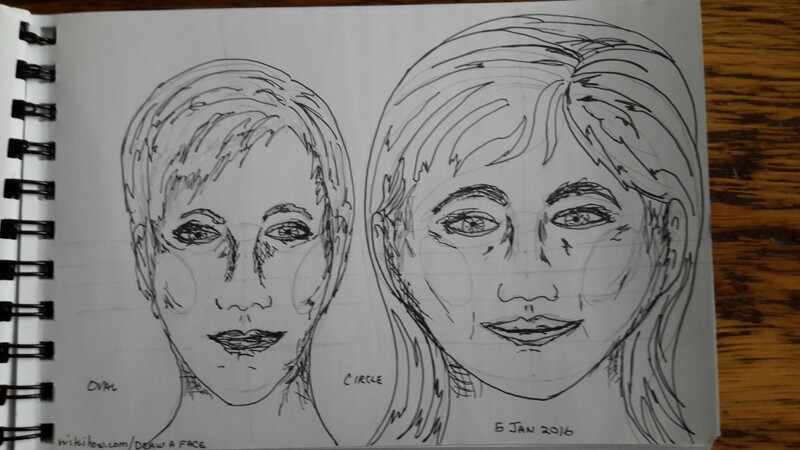 I think I mentioned that I chose faces as a project because I find them challenging to sketch or paint. Hosting the gathering made it difficult to focus on the exercise so when we returned from the gym I decided to take some time an do sketches starting with an oval, a circle, a triangle and a square with the idea of comparing how the starting shape influenced th fail sketch. Interesting results! I used wikihow.com/draw a face for reference. I can see that there are instances when each of these shapes can be used effectively. Looking forward to more practice. 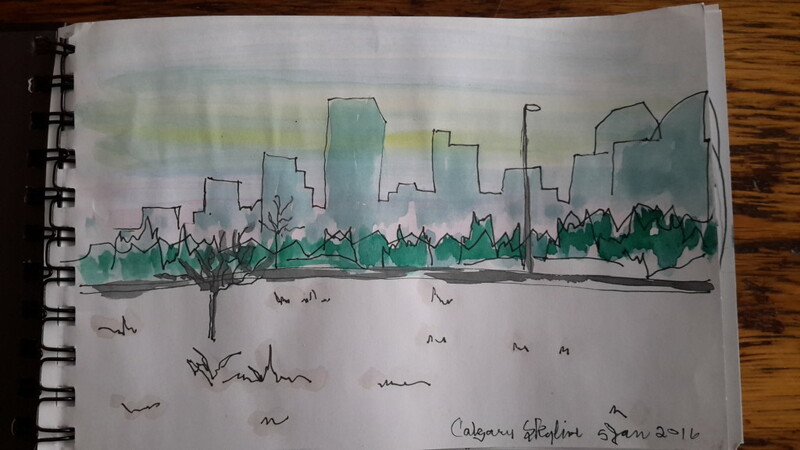 Of course as a warm up I reverted to my favourite sketching technique – lay down a colour wash on the page, jump right in with a marker pen and then do some highlights with more watercolour. I find this technique fast and effective, especially when traveling. An no chance to erase, LOL. What you see is what you get!